Save 10%! Get TurboTax Basic 2012 for up to 10% off. 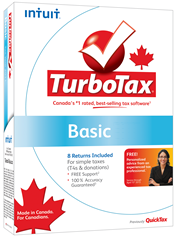 Amazon.ca now has some of the best offers on TurboTax Canada, including up to 10% off on the Basic 2012 version. Several versions are available so depending on the type of return you need to complete. Most orders will also qualify for the free shipping deal, with most ordering leaving the warehouse within 1 business day from the date from your purchase. Sale prices will vary so see Amazon.ca for details. TurboTax Basic has been optimized to handle the very straightforward tax returns (T4s) and charitable donations; it includes 8 returns. The strength of the product lies in its simplicity. It takes you step-by-step through an interview process gathering personal and professional information as well as life events that happened to you last year. 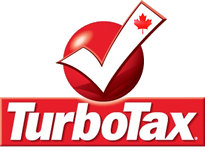 TurboTax Basic contains all the existing forms and is up to date with the current laws. This ensures that all calculations made are correct and you can expect to receive the maximum refund (or minimum liability to pay) based on the information provided. Although many of potentially confusing or general tax terms are explained (access through links for definition and example) occasionally your situation might be too confusing to find an answer. TurboTax products come with free phone, email, and chat support. Additionally, TurboTax Support provides answers to many questions asked about every important step of the return process; it also includes questions about installation of software and login. You can post your questions to Live Community and monitor if they were answered. Before you file, your return is reviewed and if the software finds something unusual, it denotes it as a warning and allows you to review it. You learn about potential red flags on your return that may lead to an audit or request for explanation or documents to support your claims. Audit Defence can be purchased to ensure your professional representation in front of the CRA if your return is questioned. Additionally, you can expect to learn about the steps to take to save money and receive a bigger refund next year. Once you complete the review you mail, TELEFILE, or NETFILE your return. my girl hasn’t paid taxes for many years and the one time she did her taxes she out and out lied about her income etc. how can she resolve this?